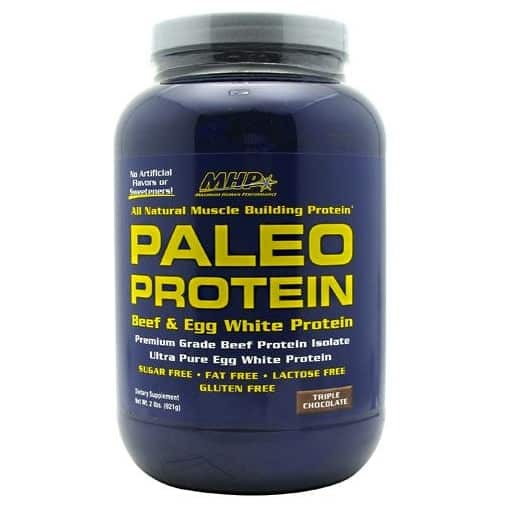 Paleo Protein provides the ultimate muscle building protein combination—premium grade beef protein isolate and ultra-pure egg white protein. 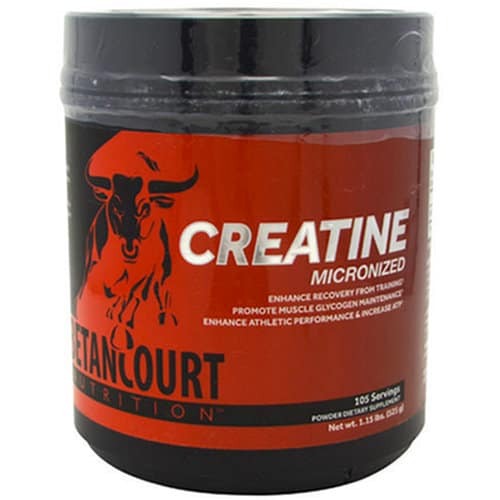 This classic combination is naturally loaded with BCAAs and all of the essential amino acids you need to enhance muscle growth and recovery. 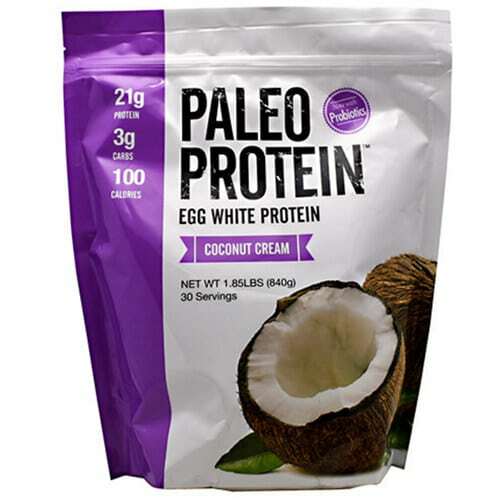 * But Paleo Protein does more… It super concentrates these potent proteins using special hydrolysis and isolation technologies, yielding high levels of muscle building amino acids. 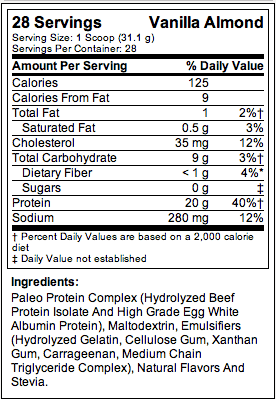 These breakthrough technologies allow Paleo Protein to deliver high concentrations of protein without the elevated levels of fats and cholesterol typically found in beef and eggs. 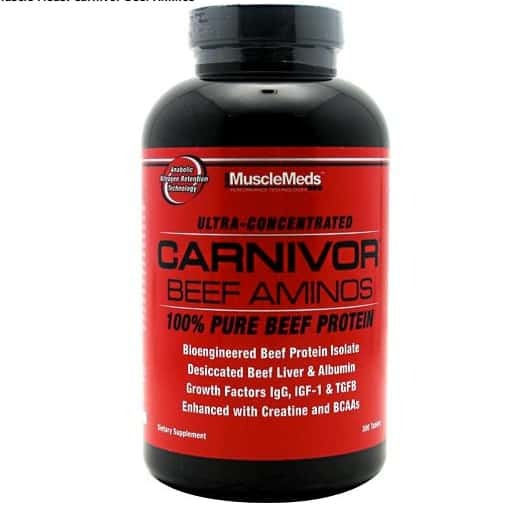 Additionally, these advanced hydrolysis and isolation technologies enhance the bio-availability, speed of absorption and digestibility of these premium protein sources. Add 1 scoop to 8 fl. oz. (240mL) of cold water and mix well. Warnings: Very low calorie protein diets (below 400 calories per day) may cause serious illness or death. 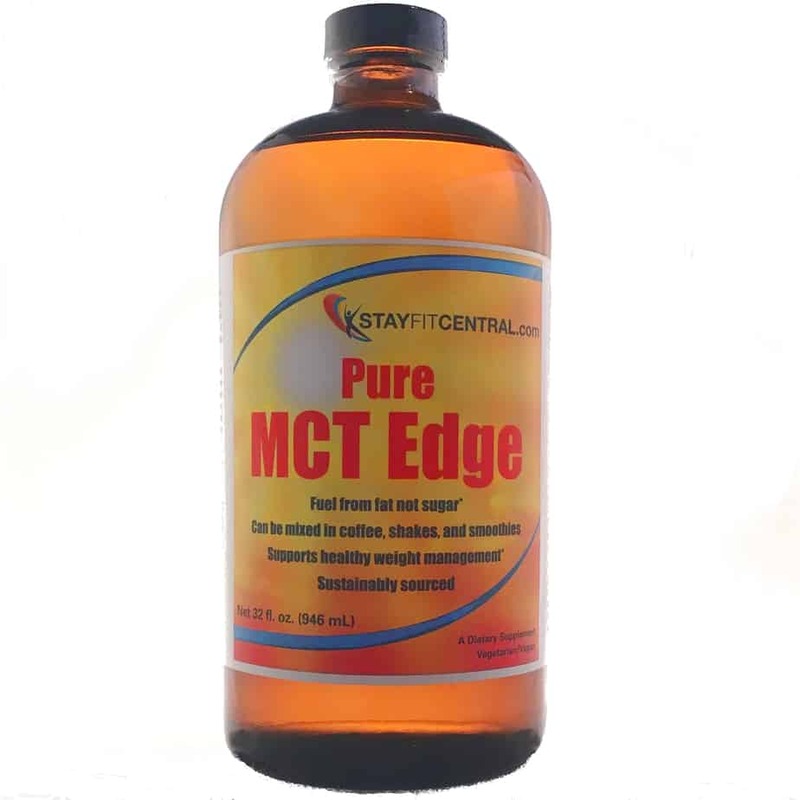 Do not use for weight reduction in such diets without medical supervision. Not for use by infants, children or pregnant or nursing women.